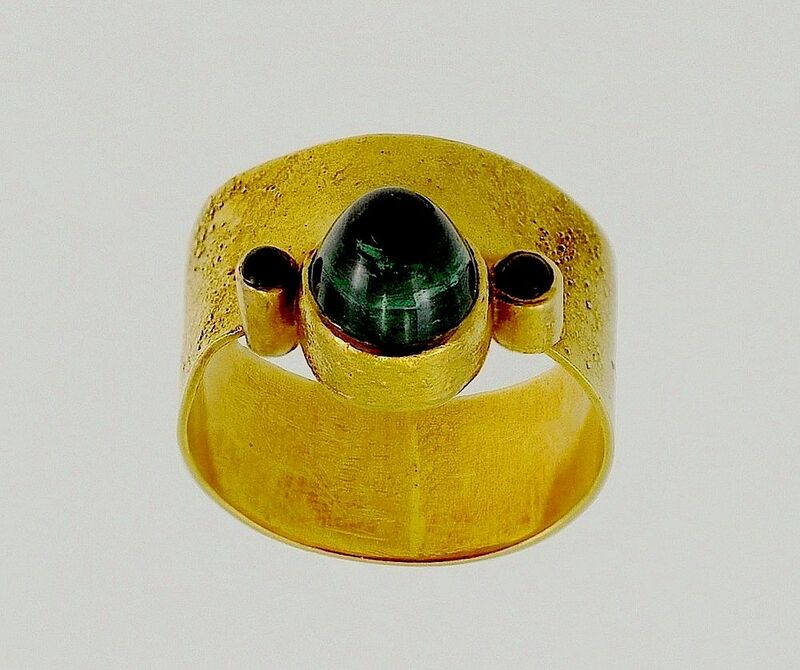 This very interesting 18ct yellow gold and green tourmaline ring was made by Dianna Brooke in 1975. The flat reticulated band is set with three cabochon tourmalines in rubover settings, the middle tourmaline is a "sugar loaf" cabochon so called because of its conical shape. The estimated total weight of the three cabochons is 1.75cts.